Artists are invited to participate in the Arts Council of Livingston 18th annual Art at the Oval, on Saturday, October 7th, from 11:00AM – 4:00PM. Art at the Oval 2018 is free to the public and will take place rain or shine. In bad weather, the event will take place inside Livingston High School. 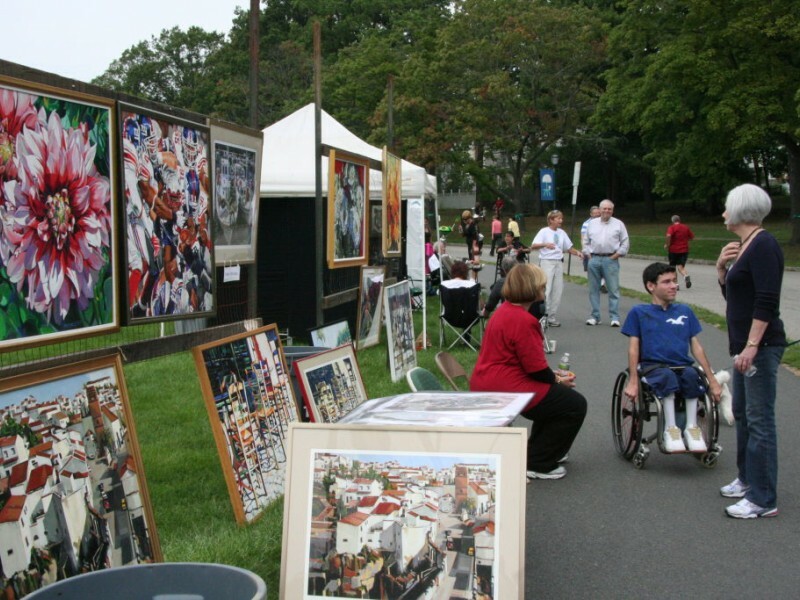 Art at the Oval is a juried, outdoor, fine art and fine craft exhibit, with exhibits from many well-known area artists. The event, which takes place at the picturesque Livingston Oval on Robert Harp Drive, is a well-known tradition in Livingston and draws artists from the entire tri-state area. Artists compete in this prestigious juried art show for ribbons & cash prizes. Paintings, multi-media pieces, photography, artistic jewelry, sculpture, decorative pieces and wearable art are represented at the event. Art at the Oval will also feature many activities for children such as face-painting with the LHS Key Club and multi-media constructions led by Barbara Sax. This year, the judge will be Irene Feigen. She is an accomplished visual artist who has had experience in many aspects of the arts including drawing, painting, printmaking, paper making and encaustics. Many of her works are in private collections. Her experience in directing workshops and judging shows expands her expertise to be the 2018 judge for Art on the Oval. For further information and to obtain an application, please contact Vivian Olshen at 973-992-1950 or at VivOlshen21@gmail.com.